Quality red glass bauble with a beautiful hand painted Santa’s village background. Personalise this Classic Christmas bauble with hand painted calligraphy with a custom message for a special gift. Beautifully hand spun glass ball that illuminates the Christmas tree with its pretty shimmer. This incredible pearl finish Bauble will be the most stunning bauble on your tree. 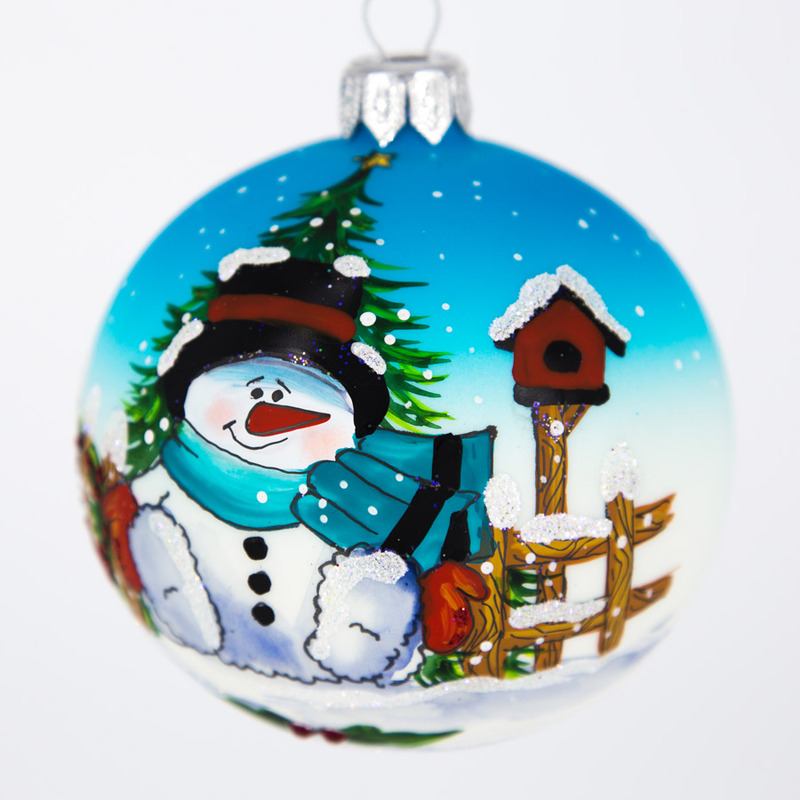 Blue Glass Bauble that has a beautifully hand painted snowman with a green scarf. Perfect as a personalized baby boys first Christmas gift idea.